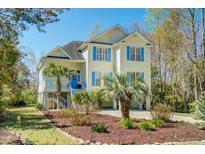 Find Surfside Beach, SC Homes for sale. View Photos, Maps and MLS Data Now! Square footage is approximate and not guaranteed. Buyer is responsible for verification. MLS#1909155. 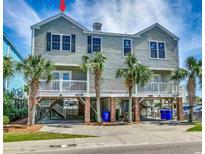 Floral Beach - Why continue to rent when you can own a piece of one of the most beautiful stretches of the Grand Strand? MLS#1909138. Call Today To Take A Tour And Make This Home Yours. Wont Last Long! MLS#1909210. 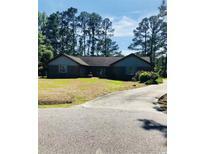 Deerfield - !....Bank's Loss Is Your Gain On This Short Sale....Investor Handyman Special....Make An Offer Today Before It Is S-o-l-d! MLS#1909112. The adjacent lot is also protected wetlands that add privacy and is available for purchase from homeowners. MLS#1908881. This home is a must see! MLS#1908912. ****Photos and virtual tour are of a similar furnished model home MLS#1908836. And let's not forget the delightful wood burning fireplace for those slightly chilly South Carolina winters. MLS#1908815. The seller is a SC Realtor. MLS#1908680. Photos are of a completed, similar home in another neighborhood and may have different features. MLS#1908584. Floral Beach - All furniture, appliances, out door furniture, and grill go with the sale of the property. MLS#1908536. Square footage is approximate and not guaranteed. Buyer is responsible for verification. MLS#1908519. Belle Mer features a premier location, and amenities galore: pool, clubhouse, exercise room, sidewalks, Colonial reproduction street lamps, and lovely water views. MLS#1908461. Lakewood - If measurements are important please have your agent verify exact dimensions. MLS#1908337. Lakewood - This home would make the perfect beach home, primary residence, or vacation rental. MLS#1908184. Ocean Pines - Check out our state of the art 4-D Virtual Tour. MLS#1908266. Ocean Pines - Check out our state of the art 4-D Virtual Tour. MLS#1908268. The proximity to groceries, shopping, the beach, and golf courses make this home a rare find in the area. MLS#1908160. 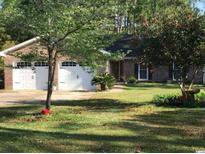 Photos are of a completed, similar home in another neighborhood and may have different features. MLS#1908111. Maytag washer and dryer 3 years old, Don't miss this one. MLS#1908113. This home boasts a gorgeous water view home site on a cul-de-sac. MLS#1908023. This home boasts a gorgeous lake view. MLS#1908016. Belle Mer amenities include a pool, clubhouse, and exercise room. MLS#1908034. Sparrow - Close to everything such as the Surfside pier, dining, entertainment, shopping, golf, airport, hospitals and of course don't forget walking distance or a golf cart ride to the beach! ! MLS#1907983. Ocean Terrace - This Sparkling Home comes with some Furnishings and Appliances. Measurements and Sq. Footage Approximate. MLS#1907917.